Nowadays, user interface design is a costly process that requires effort from a lot of people, including developers, designers, testers, product managers and so on. Companies usually create interfaces consisting of many independent components that can be reused. At the same time, designers create a design project that describes separately every detail of the design. They use a number of tools for documenting interfaces; some that come to mind are axshare.com, zeplin.com, and Photoshop, in which designers keep their work compartmentalized. This allows them to easily work on and revise the design of the project. They can update and add new pages by simply copying the elements they’ve already designed. And what about developers? We have Angular, React, Vue, Ember, and Polymer. All these tools allow us to create reusable components. But how can we look at projects the same way that a designer does? Where can we see all components that are used in the project, learn their properties or just try them? How do we know if the component we need is already implemented? Such questions begin to emerge in medium-sized projects. Of course, you can go and ask your colleague, but a colleague can’t always get to the essence of the problem and point out a component that you can use or extend. Modify/improve/extend the existing component. But experience suggests that this can be expensive, and can become more expensive with each modification/improvement/extension. Develop a new, multifunctional component. This is an ok option but it can take a lot of time. With the growing trend towards distributed development and components that can be reused, there is a need for additional tools. Let’s take a look at React Storybook. Using React Storybook in your project means you can easily avoid the situation described above. Storybook runs outside of your app. This allows you to develop UI components in isolation, which can improve component reuse, testability, and development speed. You can build quickly without having to worry about application-specific dependencies. Let’s look at how to use Storybook from the perspective of various participants in the creation process and the secondary processes supporting the application interface. You will have the opportunity to try components implemented by the developer, see all the possible states of the component, and provide feedback. You will have a library of components in React Storybook. You will no longer have to guess whether you have a component or not. You can play around with any component and find out the possibilities of using it in the context of your current task. It is very important for the developer to be able to see all the components that are used in a project and know all their features. Of course you can spend a lot of time reading the source code, but it will be much easier to find the right component with the desired properties visually, and then go into details. You can also develop components in an isolated environment, which does not require raising the entire project locally. An isolated environment allows you to develop components with a more robust API allowing reuse in any part of your project. You can think about the incoming parameters from the consumer’s point of view and understand what parameters would be convenient for the potential consumer. Also you are thinking about isolating styles. Among other things, you get a real workbench for component development. You can customize the Storybook environment as you like, and take advantage of features like HMR out of the box. You will have the opportunity to test each component separately and independently of the others. There is no need to launch the whole project. You can simply open React Storybook with the components you are interested in and carry out absolutely any E2E tests. As a Product Manager planning a new feature, it’s useful to know about existing elements and try them interactively. Since Storybook is part of the node / npm ecosystem, this is done very simply. You can install the basic cli tool using one of your favorite Yarn package managers or NPM. For experiments, you will need a project. As an example, take a workpiece from the create-react-app. I’ll omit the description and special features of create-react-app, which is a very useful and easy-to-understand tool that you can read more about here. The .storybook folder contains various configuration files. We will deal with them later. At the moment we are interested in the stories folder. It contains a library of components. After initializing Storybook in the project, by default, a file with one example is created. 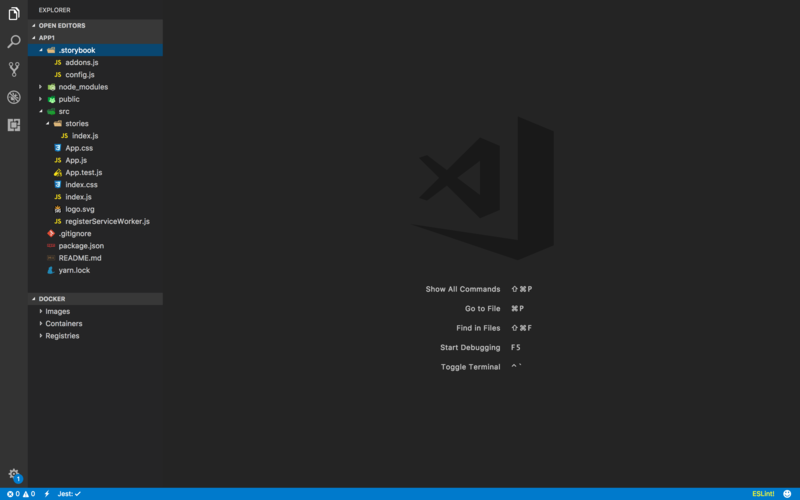 Let’s run Storybook and look at it. The page has a simple interface. On the left, we see a panel with hierarchical folders of searchable components. On the right is a fairly large work area in which your components and other information will be displayed. The bottom panel is used as an interactive tool, to which we can write information and component controls. The layout of these panels is configurable. For the sake of this example, let’s use react-select rather than create our own component. This is just a small wrapper for storing the state of the component. The code is intuitive. storiesOf creates a category in which you can add different components. By default, the files are added to storybook-static. You can open them in any browser. // you can use this file to add your custom webpack plugins, loaders and anything you like. // This is just the basic way to add additional webpack configurations. As you can see, it’s just importing the config from the main project. In our experiments, you will not need this config. Let’s go back and look at the default examples. The plugin “action” creates a kind of function, the result of which you will see in Action Logger. 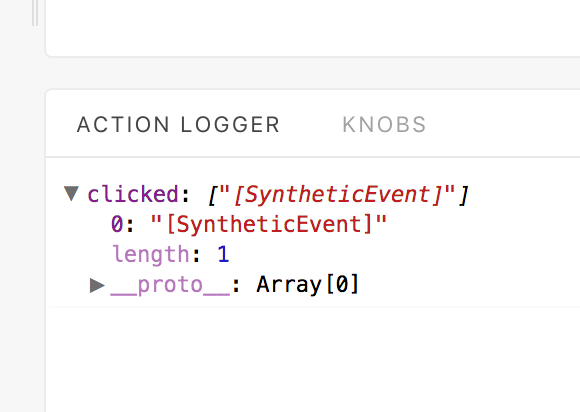 This can be useful for logging parameters by type onApply or onClick. Also useful are the so-called “knobs”. They allow you to edit the transmitted parameters to a component. You must import the installed module into addons.js in the .storybook directory. 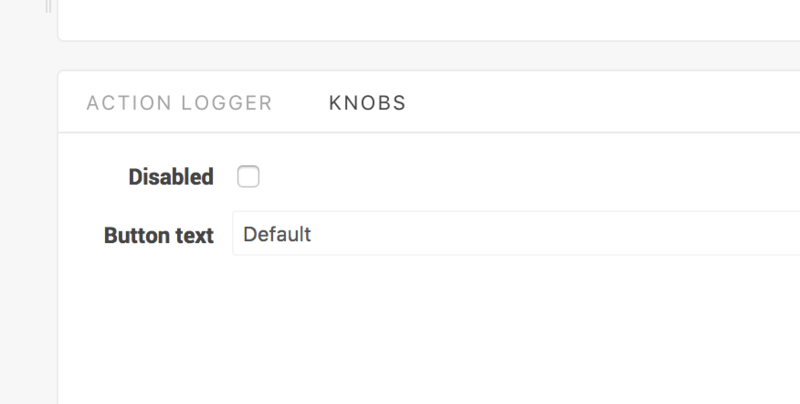 Now we can change the text of the button and use boolean to set the state of the button. 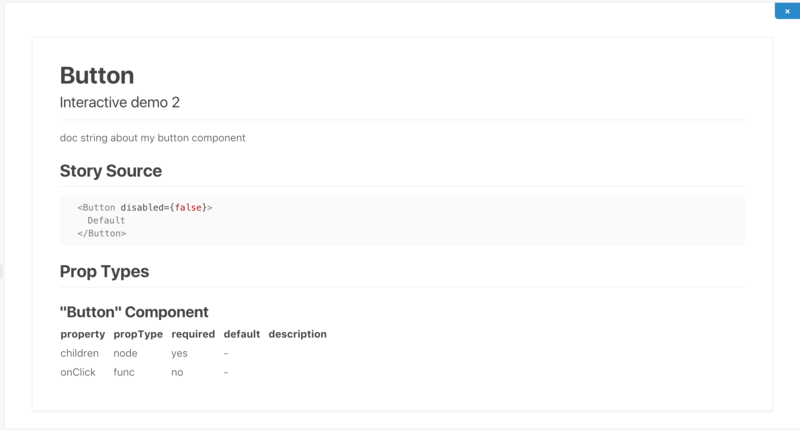 Another very useful addition is Info, this add-on automatically documents the external component API. 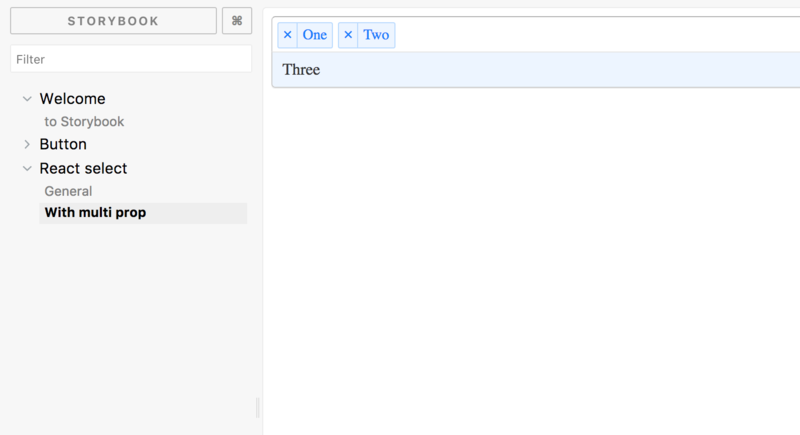 You can also display this information without having to open it, directly on the work area together with the component. As you can see, React Storybook is very easy to use, has a lot of options and add-ons, and gives you visibility into your library of components. The rest of the team can see and try a component even before it is used on a page, which allows you to get feedback from designers much earlier. Beginners on the team will no longer be lost wondering if components already exist or if they can be used for the current task. Also Storybook allows you to develop components in an isolated environment, which helps strengthen your interfaces. Copyright © 2014 Conductor, Inc.